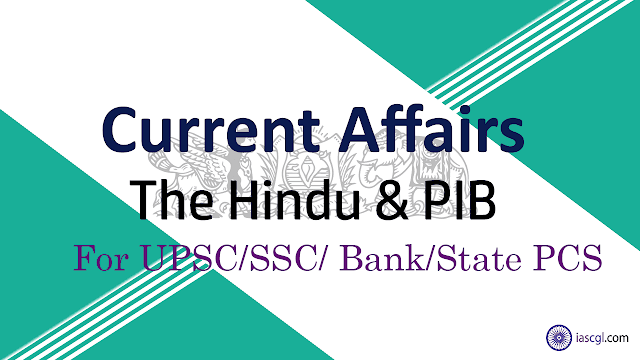 08th October 2018, Current Affairs and News Analysis for UPSC Civil Service Examination, SSC CGL and State Civil Service Examinations. They are fast-moving currents that sweep down submarine canyons, carrying sand and mud into the deep sea. However, there is more to them than just sediment-laden seawater flowing over the sea floor, and they also involve large-scale movements of the sea floor itself. This discovery could help ocean engineers avoid damage to pipelines, communications cables, and other sea floor structures. Geologists have known about turbidity currents since at least 1929, when a large earthquake triggered a violent current that travelled several hundred kilometres and damaged 12 trans-Atlantic communications cables. Turbidity currents are still a threat today, as people place more and more cables, pipelines, and other structures on the sea floor. Turbidity currents are also important to petroleum geologists because they leave behind layers of sediment that comprise some of the world’s largest oil reserves. Is Facebook data breach serious? Facebook noticed an unusual spike in the number of times the platform’s ‘View As’ feature was being used. The feature allows users to see how their Facebook page will appear to another user.
. On September 25, Facebook announced that it had identified this as a malicious activity in which the access tokens of 50 million users were appropriated by unknown hackers, and certain personal details possibly accessed. An access token is a digital key that allows users to stay logged into Facebook on a device or browser without having to sign in repeatedly using their password. It extends its reach to other apps or services that users sign into using their Facebook account. Suppose you login into Instagram app with facebook login, a token cookie data save into your device and if hacker access that token(cookie) they can login your account without any password. The ‘View As’ feature was introduced by Facebook as a privacy control feature, allowing users to check the information they were sharing with others. But this proved to be an Achilles’ heel because of some bugs that were introduced in the software in July 2017. According to Techcrunch, while using the ‘View As' feature, Facebook’s video uploader tool also appeared on the page at times, generating an access token that was not the user's but of the person the user was looking up. For example, if Hacker X selected User Y for ‘View As,’ and the video uploader appeared on the page, it generated an access token for User Y which was then available to Hacker X.
Facebook has since said it has resolved the bugs. Also, pursuant to these developments, Facebook is said to be working with the FBI on the issue. Facebook has also informed the Irish Data Protection Commission, since the European Union’s strict new data protection law states that it has to be informed within 72 hours if anyone in the European Economic Area is affected. Facebook claims over two billion users and along with Google controls more than half of the global digital advertisement revenue. Facebook was caught on the wrong foot earlier this year, 2018 when the Cambridge Analytica scandal broke. The Cambridge Analytica episode revealed that data of up to 87 million users were harvested and used for political campaigning. Aside from the direct impact of private data being accessed, it is important to note that massive data sets allow for psychological profiling. This could lead to targeted political advertising and manipulation, especially at a time when crucial mid-term elections are due in the United States and in India. This also undermines the faith in the ‘single sign-in.’ The Facebook sign-in has been utilised by a whole set of services, from gaming apps to news apps, as a way to log in to their sites or apps based on the idea that large digital entities like Facebook and Google provide better security. This trust now stands shaken. While Facebook has reportedly refreshed the access tokens of all affected parties, the extent to which the hackers had access to connected third-party apps remains unclear. Scientists Arthur Ashkin (USA), Gerard Mourou (USA) and Donna Strickland (Canada) won the 2018 Nobel Prize for Physics. Strickland from Canada, becomes only the third woman to win a Nobel prize for physics. They are awarded for breakthroughs in the field of lasers used for surgery as well as scientific study. Nobel Prize in Chemistry 2018 is awarded in two parts. One half of the prize is awarded to Frances H. Arnold for the directed evolution of enzymes. In 1993, she conducted the first directed evolution of enzymes, which are proteins that catalyse chemical reactions. The other half jointly to George P. Smith and Sir Gregory P. Winter for the phage display of peptides and antibodies. In 1985, George Smith developed an elegant method known as phage display, where a bacteriophage (a virus that infects bacteria), can be used to evolve new proteins. Nobel Peace Prize 2018 is awarded to Denis Mukwege from Republic of Congo and Nadia Murad from Iraq. Denis Mukwege is a gynecologist helping victims of sexual violence in his country. Nadia Murad, a Yazidi rights activist and survivor of sexual slavery by Islamic State and she was a witness who tells of the abuses perpetrated against herself and others. Two immunologists, James Allison of the U.S. and Tasuku Honjo of Japan, won the 2018 Nobel Medicine Prize. They won for their work on a new approach to cancer treatment. They figured out how to help the patient's own immune system tackle the cancer more quickly. It contradicts with traditional forms of cancer treatment that directly target cancer cells. For the first time in decades no Nobel Prize for literature will be given this year. This is due to a scandal over sexual misconduct allegations against members of the board of the Swedish Academy that awards it. The prize will be presented in Oslo on December 10, the anniversary of the death of Swedish industrialist Alfred Nobel. Recently, IIT Gandhinagar and India Meteorological Department (IMD) have introduced the country's 'soil moisture forecasting' for the first time in seven and thirty days. In this joint collaboration ground surface model has been used to predict the amount of moisture inside the soil. This product, called 'Experimental Forecast Land Surface Products', is available on the IMD website and it has been developed using a hydrological model, which takes into consideration soil, vegetation, land use and land cover among other parameters. is. India is working on its high-resolution soil database which is essential for soil standards. However, this database is currently not available for the entire country. This includes interpersonal and complex actions (biophysical, hydrological, and biogeochemical) between the ground surface and the atmosphere. Its ultimate goal is to integrate such knowledge to improve the prediction of the effects of land surface processes on regional weather, climate and hydrology. Soil moisture is important for agriculture because it directly affects the amount of crop growth and the amount of irrigation required for the particular region. At the appropriate time, the forecast of soil moisture will help to reach the target in terms of varieties of seeds for better planning in agriculture. Forecasting of soil moisture for Rabi crop becomes important. According to official statistics, the total area sown under Rabi crops is 625 lakh hectares in which wheat cultivation is on the area of 300 lakh hectares. Essentially the soil moisture gives us more information about the components needed for the growth of the crop in different parts of the country. Indian Council of Medical Research (ICMR) has confirmed that the Canine Distiller Virus (CDV) is responsible for the death of lions in Gujarat's Gir Sanctuary . In addition, the Council has also recommended vaccination to save the lions from the outbreak of this virus. This vaccination is against the recommendations made by wildlife biologists, that wildlife should not be vaccinated as it can weaken the immune system. According to the tests conducted in the laboratory, 4 out of 23 lions were infected with canine distemper virus (CDV) , while 10 other lions were infected with Bbbsia protozoa. This infection was spread by Tick Parasite. In addition to vaccination, ICMR has recommended to keep lions in two to three separate reserves. This horrific connection between CDV and the potential epidemic is in cognition since 1994 . In 1994, almost one-third of the lion's population died in the Serengeti-Mara ecosystem (Tanzania) of East Africa . Things like Tanzania have been born in Gujarat today. According to the calculation of lions made by the Gujarat government in 2015 , Gujarat was home to 523 lions. This number is 27% more than the 2010 calculation. The growing population of lions has also spread beyond the protected area. According to estimates, almost one-third of the population lives outside the protected area and is viable for bacteria. Experts say that the lack of large animals inside the sanctuary area and increasing dependence on domestic cattle are also some of the propaganda of CDV. Canine distemper virus mainly causes respiratory, gastrointestinal, respiratory and central nervous system in dogs as well as serious infections in the eyes. CDV can also affect wild mammals such as wolf, fox, crackle, red panda, ferret, hyena, tiger and lions. The spread of this virus in wildlife of India and its diversity has not been adequately studied. The lions do not eat the entire victim at once. Dogs infect those prey and infect them with CDV. The lion returns to eliminate its prey and is in the grip of this deadly disease.